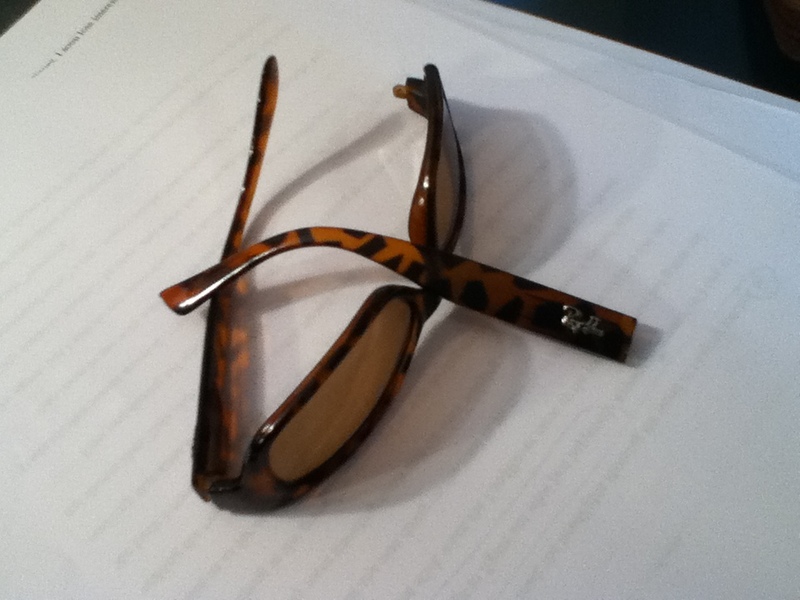 So I dropped my favorite pair of sunglasses today and they shattered. Though this makes me quite sad, they have served me well for almost a year (much longer than sunglasses usually survive me) and thus are deserving of a quick eulogy. The glasses in question are “Ray Dan”s, a brand-name-knockoff mis-spelling that has always deeply amused me. I bought them from a street vendor in Arusha, Tanzania, near the clock-tower that marks the midpoint between Cairo & Cape Town. My formerly-favorite pair, after a DEET-steaming. I needed them because I found out, the hard way, that 100% DEET melts plastic. I knew this, actually, since I had been warned by my friendly neighborhood camping-store salesperson before traveling that I shouldn’t touch plastic with DEET-covered hands as it would literally etch my fingerprints into the material. HOWEVER, he failed to mention that DEET is so powerful that even the steam from a shower, in which one was washing off the mosquito repellent, would eat through sunglasses! 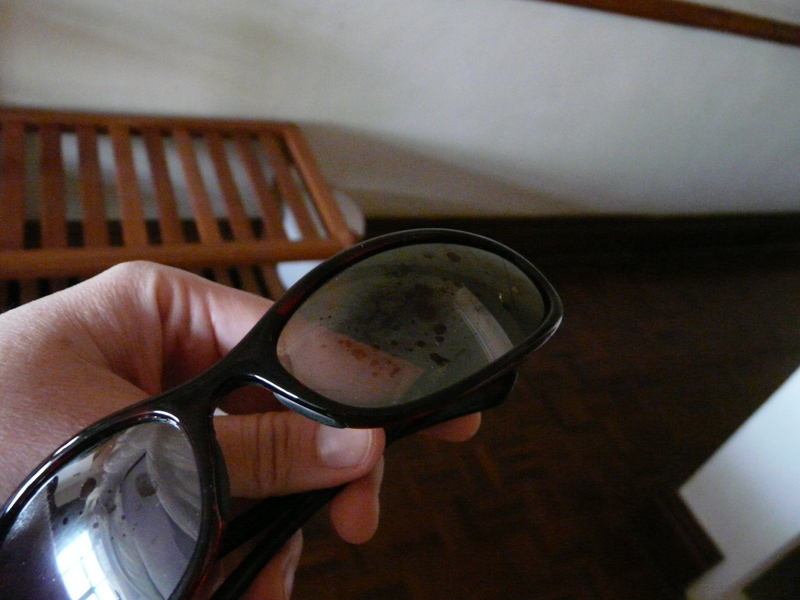 So, be warned travelers: mosquitoes hate DEET, but DEET hates sunglasses. Rest in peace, Ray Dans. Long live whatever pair comes next. This entry was posted in My Crazy Life, Tanzania, Travel. Bookmark the permalink.